Begin by heating your oven to 325 degrees. Using a large skillet, heat oil over medium heat until it shimmers. Cook the onion until it’s golden brown for about eight minutes before adding the taco seasoning and garlic and cooking everything until it becomes fragrant, it should take about thirty seconds. Stir in the corn, turkey, and ¾ cup of enchilada sauce off of the heat. 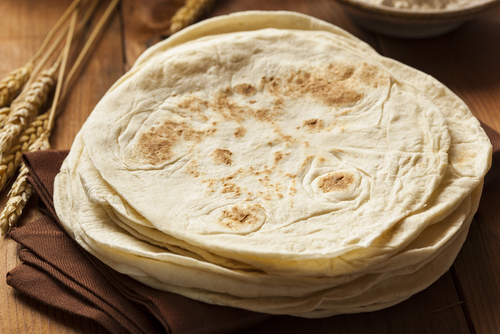 Use cooking spray on both sides of the tortillas and arrange them on a rimmed baking sheet. Bake them for about two minutes until they’re pliable and warm. 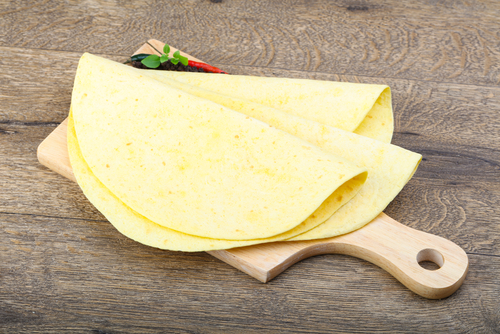 Using one tortilla at a time, place a ¼ cup of the turkey mixture in the center and then use a sprinkling of cheese, about a tablespoon. Roll up the tortilla with the seam side down and move it to a baking dish, repeating the process for the rest of the tortillas. Using whatever enchilada sauce is left as well as the sour cream, whisk them in a bowl. Start baking the enchiladas until the edges are brown, the process should take ten minutes or so. Pour the sour cream mixture over the enchiladas using a spoon and then top it off with whatever cheese is left. Place the enchiladas in the oven again for ten minutes and bake until the cheese has melted. Use some cilantro sprinkling and you’re ready to serve. Mix all of the ingredients together with the exception of the tortillas. Using a greased cookie sheet, place one of the tortillas and then spread a thin layer of the mixture across it. 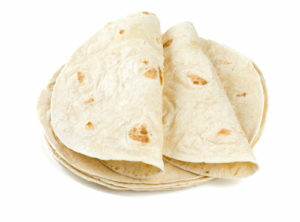 Place another tortilla on top, add more mixture, and repeat the process until you have a total of six tortillas. Make another set of six tortillas and bake everything for about twenty minutes at 325 degrees. Place the tortillas in the fridge overnight so that they chill thoroughly, if time allows. Chop everything up into either wedges or squares and reheat them in moderate oven. You can enjoy the tortilla stack-ups warm, hot, or at room temperature. Preheat your oven to 375 degrees, grab a baking tray and line it with parchment paper. Chop up and pulse the ¾ head of cauliflower until the texture becomes rice-like, removing most of the stem. After the riced texture has been achieved, make sure to measure it so that you do in fact have two cups packed. Microwave the riced cauliflower in a bowl for two minutes and stir it. Repeat the process and then place it in a dish towel, squeezing as hard as possible to remove any excess water. Be careful not to burn yourself. After placing the drained cauliflower in a bowl, add the pair of eggs plus the salt and pepper and mix everything up until it’s all well combined. It may be runny, but it shouldn’t be pure liquid either. Grab as baking sheet and spread the mixture into six circles of fairly small size. Heat the circles for ten minutes and then remove them from the parchment carefully. Flip them over and stick them back in the oven for an additional five to seven minutes. Move them over to a wire rack for cooling. Using a medium sized pan over medium heat, place the tortillas into the pan pressing down slightly and brown them to your satisfaction. Stir together the mashed potatoes, bacon, and green onions. Spread the mashed potato mixture onto one side of half of the tortillas. Sprinkle the cheddar cheese on top of the mashed potato and put it on top the remaining tortilla. Sparingly apply butter to each side of the quesadilla. Preheat a large skillet over medium heat. Place the quesadilla into the preheated pan, and cook until golden brown. Flip it over and continue cooking until golden brown. This should take 2-3 minutes per side. Repeat with remaining quesadillas. 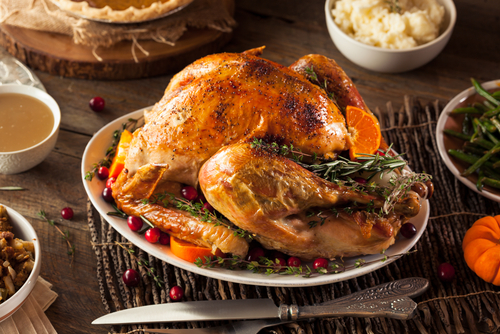 Serve with cranberry sauce, salsa or sour cream. 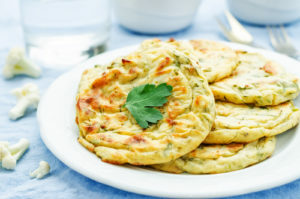 This recipe is a fast and delicious way to enjoy your favorite comfort foods! What are some of your favorite meals to prepare during the week? If you’re the type of person who would prefer not to eat the same thing every day, it can sometimes be a chore to figure out what to have for dinner. While we may not be able to provide you with a meal suggestion for all seven days of the week, we do have a Friday suggestion that we think you’ll like. It’s quick, it’s fulfilling, and it’s perfect for taking it easy when you just want to enjoy the weekend and relax. To prepare seafood salad wraps for dinner, start by grabbing four flour tortillas, preferably about the size of a burrito. Line them up with lettuce leaves and then spread a ¼ pound of deli seafood salad along the center of all four tortillas. Use sliced red onion and sliced avocado for topping and then roll up the tortillas around the filling, wrapping them in wax paper to make eating them a little easier. As a side, consider baked chips and if you want to throw in some dessert, some fresh fruit and shredded coconut will make for a nice complement to your easy meal.